As one of the countries which depends on tourism as it main source of revenue, Grenada has begun a process of educating frontline workers about the symptoms and signs of measles which is presently described as an outbreak in the USA. “We cannot sit on our laurels, but we have to start educating our frontline workers, as within a day or two a person from California can arrive here and if that person happens to be infected and it’s not observed at the port of entry then lots more can become infected,” said Chief Medical Officer Dr George Mitchell, who confirmed that Grenada is among the countries in the world who can boast of not having a measles case for decades. “Official data will tell you that measles is eliminated in the region and we have not had a case for a long, long time. This success is due to us mandatory vaccinating children for measles, mumps and rubella, but there are pockets of parents who refuse to give their children, and there are people who are at risk of becoming infected if one case was to arrive on the island,” he explained. Dr Mitchell said that besides the frontline workers at the various ports of entry, letters will also be sent to the Grenada Tourism Authority, the Grenada Hotel and Tourism Association, the Taxi Associations at the ports of entry, schools through the Ministry of Education, and the Ministry of Foreign affairs, informing them about the signs and symptoms about measles and what is to be done if a person is suspected. He also disclosed that the ministry will reintroduce the arrival status health form for all visitors entering the country, especially those from the USA. In the height of the Ebola outbreak all visitors were made to complete a status of health and place travelled six weeks before entering Grenada. Measles is a highly contagious disease that is caused by a virus and spreads through the air when an infected person coughs or sneezes. In an interview with the Government Information Services, Manager of the Ministry’s Expanded Program Immunization, Nurse Allyson Clouden explained that the disease is so contagious that if one person has it, 90% of the people around him or her will also become infected if they are not protected. Nurse Clouden said that a person can be affected from a few days before, and up to seven days after symptoms, and that if an infected person coughs or sneezes in a room, the virus can become airborne and will survive for up to two hours in that room after the infected person would have left. Measles often starts with a high fever from 1 to 7 days, followed by a rash of tiny red spots (breakouts) on the face and spreads to the rest of the body, along with a cough, runny nose and red eyes. 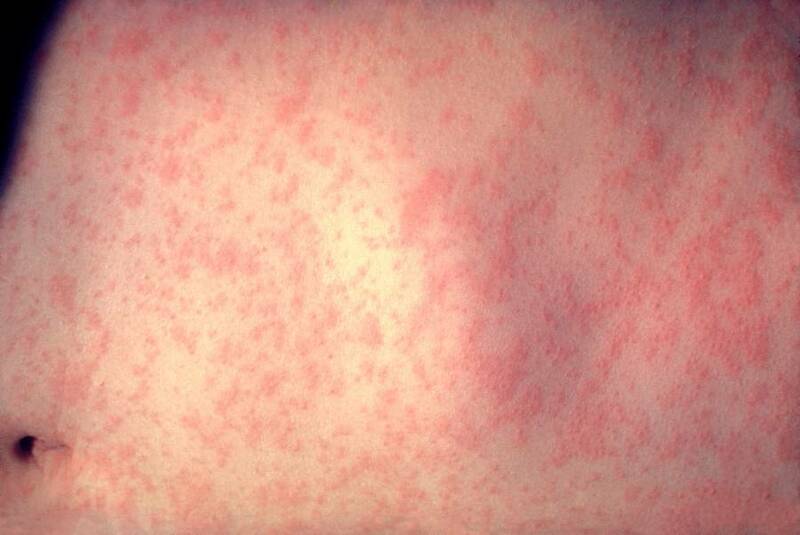 The United States is experiencing a large multi-state measles outbreak that started in California in December 2014 and has spread to six additional states and Mexico. In the initial confirmed case, patients reported visiting Disneyland Resort Theme Parks in Orange County, California, from 17 to 20 December 2014. From December 28 2014 through 21 January 2015, there were 51 confirmed cases of measles.